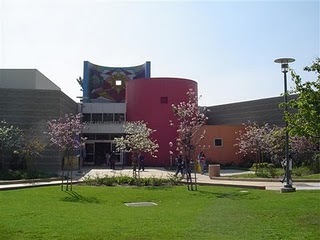 Montebello Mom: Free Homework Help at the East LA Library! Online Tutoring too! Free Homework Help at the East LA Library! Online Tutoring too! The L.A. County Library also provides free online tutoring! Can't make it to the library? Free online tutoring is available for kindergarten - 12th grade, college students, and adults. Assistance in math, science, English, and social studies, essay review, AP courses, SAT prep, GED preparation, citizenship preparation, career services, resume review, interview practice, and job search is available. Tutors bilingual in Spanish & Vietnamese can be requested. Online tutoring services are available from 3pm-10pm. All you need is a computer linked to the internet & a library card number for access. I tried the online tutoring pretending I was a 2nd grader with a math problem, and again as an adult seeking interview help. It was easy to navigate, but little kids would probably have trouble typing in their questions & responses. It would probably be best if parents of elementary students typed in the questions & respond for their children.